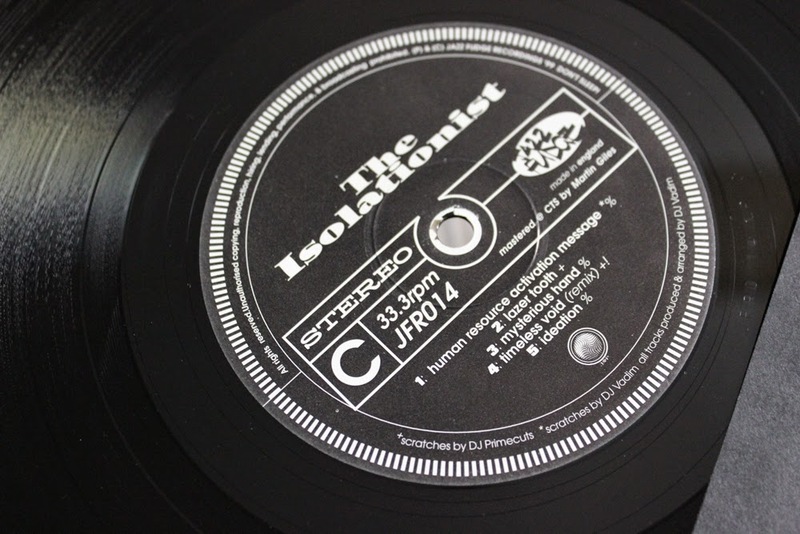 The Isolationist were a short lived coming together of abstract rap trio Antipop Consortium and DJ Vadim. This is becoming fairly sort after and I can see why. I don't have much in the way of DJ Vadim but I have a lot Antipop Consortium releases. 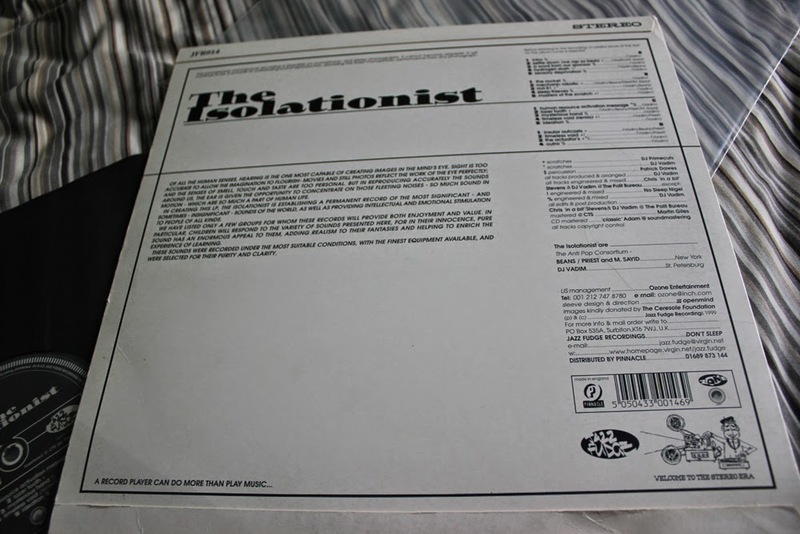 I love the styling of this record, not so much the front cover but the back and the labelling (pictures below). There is a hell of a lot of music here to delve into, 4 sides worth, some tracks really stand out more than others but I do enjoy sticking this on every now and then. This was a nice present to receive from my partner for my birthday a good few birthdays ago. Ah, the classic Michael Jackson records. Everyone should have at least one of these in their collection and they're so ridiculously easy to find at a good price that you have no excuse! I grew up thinking Michael Jackson was this untouchable godlike figure, I find it hard to think of him any other way... I grew up on the videos and the singles, so hearing the full albums is an interesting prospect, some tracks really appeal to me whereas others just make me feel a bit sick! 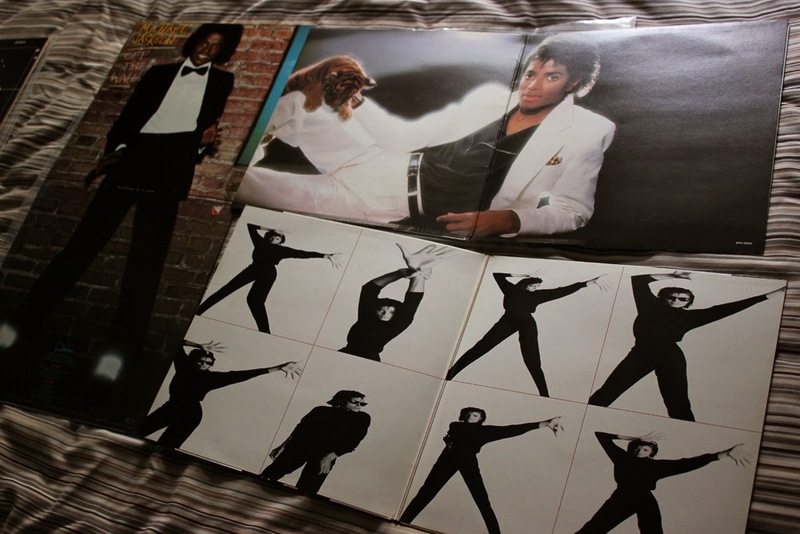 I really like his work with Rod Temperton, but for every Baby Be Mine there is a I Just Can't Stop Loving You so for me none of these albums are perfect but they contain moments of pure perfection. Each of the albums are gatefold which is great but the inside of the Bad record is just such an ugly waste! 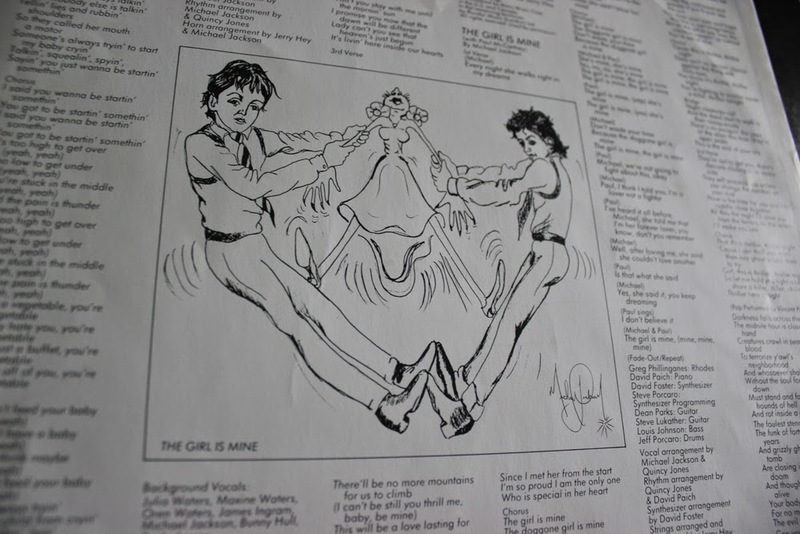 Michael Jackson's drawings are also pretty hilarious. 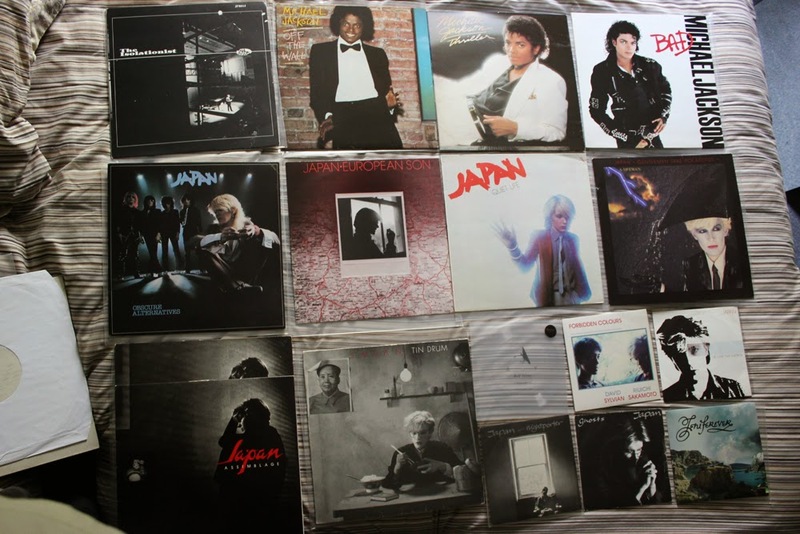 Most of these Japan records were bought in bulk on eBay for an extremely low price that I couldn't argue with. Japan were a great little group that went through a rather turbulent beginning, quickly blossoming from a rather dull 'me to' glam rock band into a unique and altogether more interesting prospect from 1979's Quiet Life onwards. 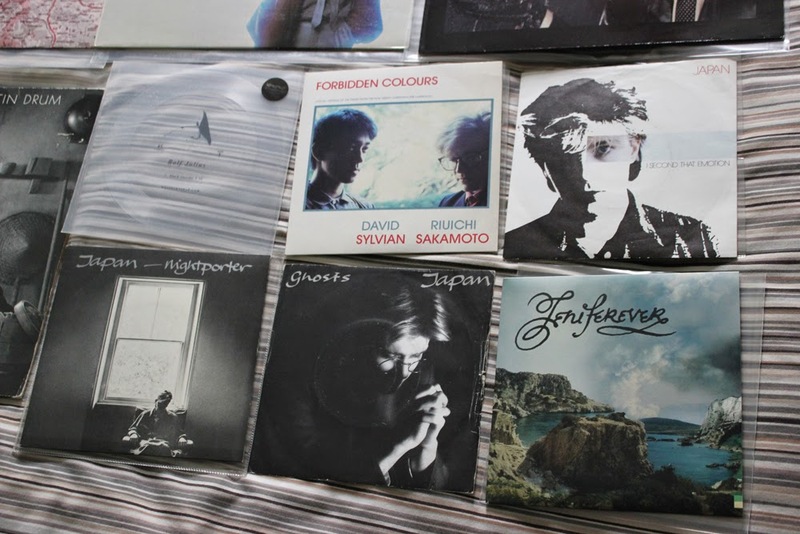 I love David Sylvian's voice and Mick Karn's bendy fretless bass playing on these records. Tin Drum stands high above their other releases and comes highly recommended but some of their other albums hold some great tracks too. Some good stylish pop music for sure. Really like how young Slyvian and Sakamoto look on the Forbidden Colours single, they look like little kids! 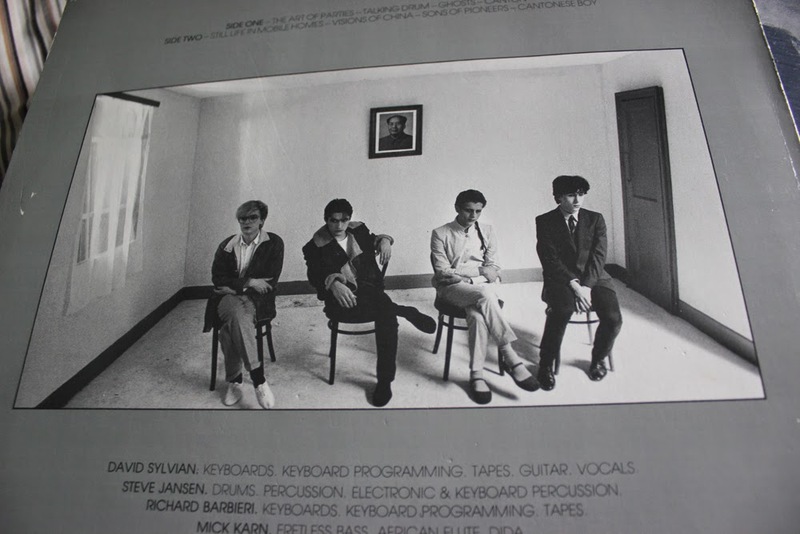 I also like the photo on the back of the Tin Drum album which you can see below. Recommended for fans of John Foxx and early 1980's new wave and pop. The Jeniferever single was bought way back when I was at college in 2006. They're a sort of post-rock/emo group that I was interested in at the time as I was listening to the split they did with The Next Autumn Soundtrack back in the day. It doesn't really hold up for me much now though sadly, it just comes across overly emotional, just doesn't do anything for me. 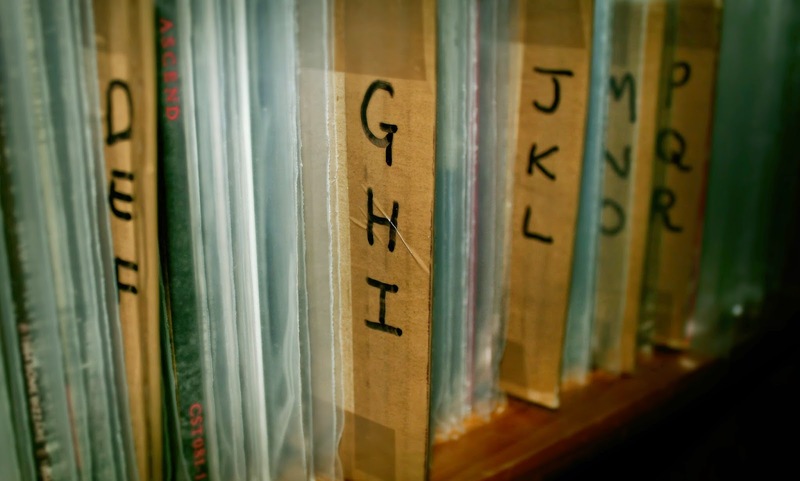 The flexidisc Rolf Julius came free with one issue of the UK experimental music magazine The Wire a few years ago, as far as I remember the grooves are empty, all I remember hearing was the texture of the needle on the flimsy flexidisc material!